Catalyst, a search and social marketing agency of GroupM in North America, recently released a new study: “Why Search + Social = Success for Brands. The Role of Search and Social in the Customer Life Cycle.” Conducted by Forrester Consulting, the commissioned Catalyst study reveals how consumers use search and social throughout the customer journey. The study’s findings will help brands develop more effective search and social strategies. The customer journey today is anything but a straight path — consumers have endless choices in how they navigate it. Because of the complex path to purchase, brands struggle with how to choose the right channels to drive results. Search is the primary tool of choice for consumers. Customers turn to search channels as one of their top sources of information at all stages of the customer journey. The study reveals that over 90 percent of customers use search to discover, explore, and engage. Consumers trust search more than any other digital channel. This finding supports why the vast majority (90+ percent) of consumers use search: they trust the results. The study shows that 72 percent of consumers indicate that their search results were trustworthy. It is important to note that search received the highest trust rating out of any digital channel. Social is a powerful force in the customer journey. The study shows that more than 85 percent of customers use social for discovery and consideration for purchase. 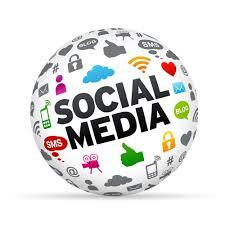 In addition, social provides impactful, trusted information to customers while they are engaged in shopping behavior. This study shows that 81 percent of customers initially gained awareness of a recent purchase via the activity of their social connections. Yet, 43 percent report their purchase was influenced by a company’s social post when shopping, and 30 percent indicate they were influenced by paid social ads. Customers who use search and social together spend more. The study reveals that consumers who combine search and social in their shopping behavior are valuable customers who reward the brands they like by opening their wallets, and actively promoting the brands. Over 50 percent of consumers who use both search and social indicate they spent more than $250 online in the past three months, and they are 9 percent more likely to act as brand advocates than overall consumers. This Forrester Consulting research effort was conducted via an online survey of 999 US consumers to evaluate the role of search and social media channels in the customer life cycle. The study began in March 2015 and was completed in January 2016. Survey participants included online consumers who had shopped (defined as researching, purchasing, or discussing a product) in the past three months, across several verticals, including consumer packaged goods (CPG), automotive, entertainment, consumer electronics, telecommunications, and financial services. The online survey questions asked participants about their use of various marketing touchpoints throughout their customer life cycle, with a specific focus on motivations and behaviors for using search and social media channels. Respondents were offered a small incentive as a thank you for time spent on the survey.